ShowGrounds is always looking for a way to make your lives a little bit easier, and make workflow a little bit faster. We think this will do both. In our newest update, ShowGrounds automatically does a lookup for all RTOs and Horses with valid USEF number and update email and address info. This data is only updated if its missing, we don’t automatically override existing data. We’ve added this service as a new system preference under Internet tab. 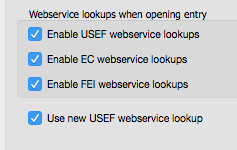 Use new USEF webservice lookup. This is selected by default, can be turned off to switch back to previous lookup method. In case there is a reason to switch back. 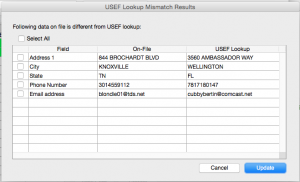 On RTO USEF lookup, we store lookup values in fields. If the data on file is different from data received from new lookup, we display following dialog. It allows you to select the fields you want to update. We’ve also added the ‘Gender’ field in RTO. 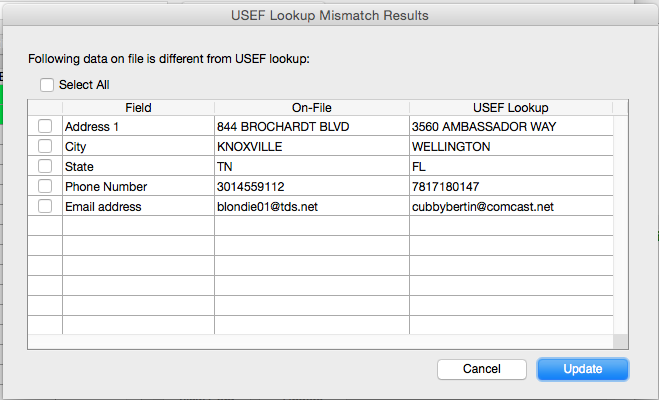 This is not available in USEF lookup, but we update it based on suffix value from USEF whenever possible. Its not possible for example when the suffix is Dr. or Jr. etc. Want to know what’s going on in Palm Beach while you’re at Tryon? Have something you’d like us to share? 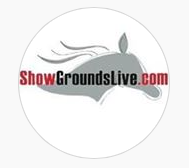 Now you can reach out to ShowGrounds via Instagram (showgroundslive) and Twitter (@ShowGroundsLive) to stay up to date.